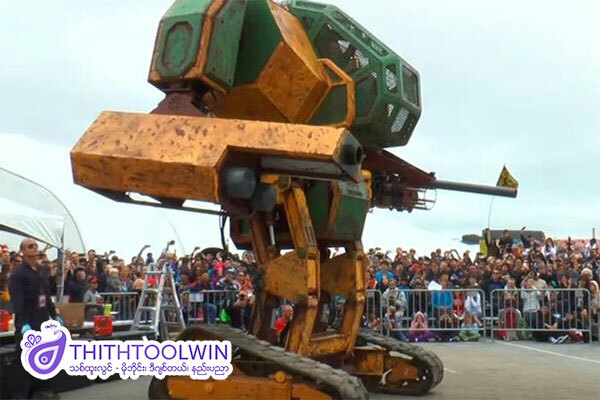 The challenger was US MegaBots Inc’s MK II Robot and not Japan Suidobashi Heavy Industries' Kuratas Robot. Japan Suidobashi Heavy Industries, maker of Kuratas Robot has accepted challenge from MegaBots Inc. The MegaBots Inc, the Mark II is 15ft high and weight 12,000 lb. The Japan Suidobashi Heavy Industries' robot Kuratas was just 13ft high and just over 9,000 lb (4,500 kg).